Called the number on their website it's not in service. The shot shop? The place is gutted, and the signs are gone. Hardwater Diehard thank you for posting info. on Mahogany ridge contest. If things have not changed entry is $20.00 per person,$50.00 per family(wife,kids) . You receive one dozen bait fish and can enjoy the lunch served during contest. Kb I live close to Ceely's believe they close for the Winter. I will try and stop there this week and let you know. I have an older book that has list of bait shops in south eastern,NY. It list a D's Sport and Tackle on route 55 in Pawling was this same place as the Shot Shop. (3144 route 55 Pawling ,845-855-1520 hours Mon.Thurs. 3 PM-7PM, Fri.-Sun. 6AM-6PM ) The book is from 2015 so place may not exist . Good day hope everyone is weathering the storm alright. Congratulations to all of you who got a fishing trip in before storm arrived nice catches of fish. 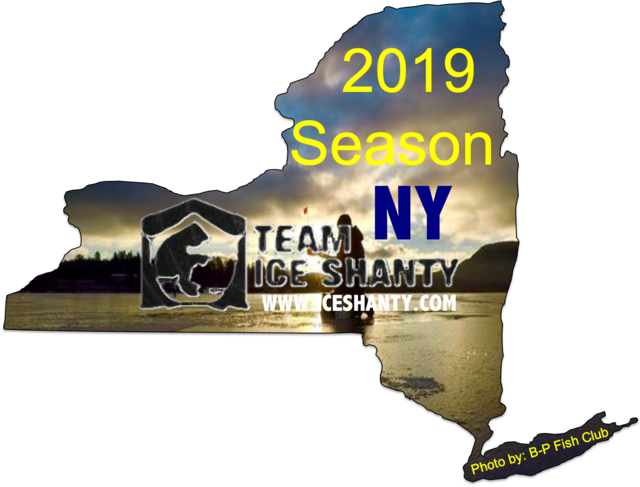 NYBasser I'm also curious did you fish on Long Island or get up early and drive to the catskills or other area upstate of your home.Kb thank you for the report on Upton Lake. I saw your post in the Bait Shop map thread sorry to hear Shot Shop is out of business. Besides Dutchess/Northern archery in red Hook what other bait-tackle shop still exist in Dutchess county. Light snow still falling here in New Windsor and winds have increased their speed. Be careful if traveling today. Ceelys closes for the winter & they go to Florida. I know for a fact that they are down there now ! Wetdreams thank you for the information on Cellys. Did you get any info. on this Year's Swan Lake contest. The shot shop and D's are/were the same place, different owners. Well than so much for Ceelys, I guess going into Ct is my only option. I called D's Bait and Tackle last week and it said the number was disconnected. Not sure if they are out of business or closed for the winter. Big wave in mahopac and cross river are the only places I know of that have bait and are still open. D's is 100% closed. Only two bait shops that I know of open in Dutchess are all the way up in Rhinebeck. To all who maybe interested I was able to contact the current chief of the Swan Lake,NY. fire dept. Their annual ice fishing contest is coming Sunday Jan. 27TH starting at 6AM. Entry fee is $10.00, bait fish ,hot drinks available for purchase, Register for contest at tennis court of former Stevensville/Presidents resort . If you are traveling on route 55 from Liberty after crossing over the lake make first right turn (Briscoe Road) just past Golden Swan motel . The tennis court is a short distance up this road on right side of the road. You need to take out a second mortgage to buy bait at Cross River. What a rip off. Better of getting your own. The cost of bait fish is getting out of hand quick but we can't honestly place all of the blame on the shops. The regulations force the wholesalers to have their bait certified and the shops to issue those dumb receipts that I have never yet been asked to show any Encon officer. Most shops buy bait fish by the pound and then they have to acclimate the fish to the temps in their tanks plus pay the water and electric bills and the employee costs if any. We frugal fisher persons want the bait shops to stay open for us yet we buy 95% of our gear at the big box stores or on line so the small shop ends up out of business because just selling bait can't possibly keep them alive. I buy a dozen bait for around $6 or .50 cents each and almost never get out of the bait shop without spending $20-25 dollars with my 2 dozen. I try my darnedest to keep my half dollar bait fish out of the mouths of some 10 slime dart or dink perch. What we all need to remember is fishing is both a sport and form of entertainment and it is not cheap when you consider all the money spent on equipment, travel, bait and all the other associated costs involved. In all reality it is cheaper to just buy your fish at the market except for the fun and entertainment factors involved. I know when I was traveling up to Lake Ontario every chance I got and dragging an expensive boat with all the gear and fancy equipment I figured every pound of salmon I caught was costing me well over $200 for each pound. When gas was over $4.00 per gallon and I could burn up 40 gallons on a 3 days trip plus another 40 in my truck it just got far too wildly expensive and certainly not worth the trips not to mention all the trips we got blown right off that nasty lake. After over 55 years of fishing, many of them at serious fishing, I could probably live the rest of my life quite comfortably if I had all the money I tossed in the water chasing fish. Complaining about the cost of bait won't change a thing unless we change our spending ways or we can just go pick night crawlers on our lawns and fish cheap. Wetdreams/Walt ,you are welcome have a good time and best to you with the fishing. If can remember please politely ask someone from the fire dept. to kindly update their Facebook page once they set date for the contest. They still have the info. up from last year's contest. Also I'm going by info. from previous year so my apologies if entry fee has increased. I know it is a little out of the way but I drive to Candlewood Bait and Tackle in Danbury, Ct (exit 5 Rte 84). Certified shiners are about 1/3 the cost of NY shops. They have all kinds of bait and all the tackle you could want. Worth the drive to me. Candlewood bait and tackle is a good shop. They are reasonable and if you buy a big bunch, he usually throws in some extra bait. How are ice conditions on west Branch Reservoir? I heard people were fishing it, but is the whole thing locked up? Any input appreciated. Was on west branch Saturday tried to go back on Sunday and the shore line was gone looks like the water was up about 2 feet...with the cold snap it may have set back up. I heard from a few people that they were kicked off of swan lake. I am sure the Fire department arranged something, but has anyone else heard this. Something about new owners? That’s where I went last year, and will be my future bait shop. I didn't realize you could use bait from a different state. I wonder if P.A. is the same. I always get my bait from Candlewood bait and tackle , I refuse to pay those prices at the Westchester bait shops who get the same shiners from the same distributor as the Danbury store. It’s only a short drive into Danbury, right off the downtown exit. 100% agree. about 1/3 the price of Cross River. Quality bait, excellent service, and yes - certified bait! 5-7" at Chodikee. Slow, nobody catching, one bluegill. can anyone tell me where to park at swinging bridge, looking to get out on north end.